Since we first opened in 2006, we’ve been obsessed with offering incredible service to all of our customers. It’s that focus that has allowed us to grow to the point where we needed to open a second location. Today, we are pretty dang proud to offer the same superior SUV and truck accessories and services in Spokane as we do in Coeur d’Alene. Led by enthusiastic, knowledgeable, and experienced management, our Spokane team has quickly set the bar for the rest of the local industry with their client-centered focus and superior results. 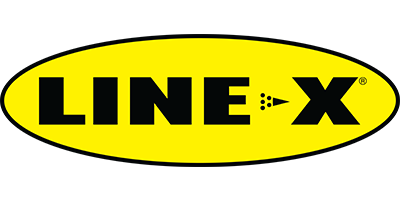 Offering a full line of high-quality LINE-X bedliners and coatings, and truck accessories, our Spokane location serves the community by providing the world’s best spray-on protective coatings. Want something LINE-X’d? Contact our team to find out just what is possible with this incredible coating. Our customers understand one thing when it comes to our work: we will never compromise for an unearned dollar or for a stolen minute. We’ll always treat your vehicle with absolute respect, deliver superior results, and do it at the most affordable price possible. This dedication has led us to become a premier LINE-X franchise. Though our exacting standards are never easy to maintain, we know you rely on them, and we promise to keep trying to surpass them every day. Find out what makes us both regions’ favorite automotive aftermarket dealer and spray-on protective coatings specialists by scheduling your appointment now, or contact us for a free estimate.